Sometimes that’s how it all feels. We feel like Humpty Dumpty. And his story seems to match ours. We’re up high, doing well, and then one day it just all turns to a big crashing fall, shattered everywhere. And no one can fix it. They can all try, but there are too many pieces to ever put back together. Humpty Dumpty is broken forever. It’s what he is known and remembered for…and we are Humpty Dumpty…lovely. But, maybe that isn’t the end of the story…what if there is actually more? Perhaps there is an ending different than just shattered. The King knew that none of His people could fix Humpty, but the King loved Humpty too much to leave him fallen and broken on the ground at the foot of the big wall. So the King came down Himself- all the way down to Humpty’s huge shattered mess. He knelt down to the ground by Humpty and picked up all the tiny pieces. Slowly, piece by piece, the King picked every fragment up and put it back together again. In the middle of Humpty’s mess, the King came close and made Humpty whole again. 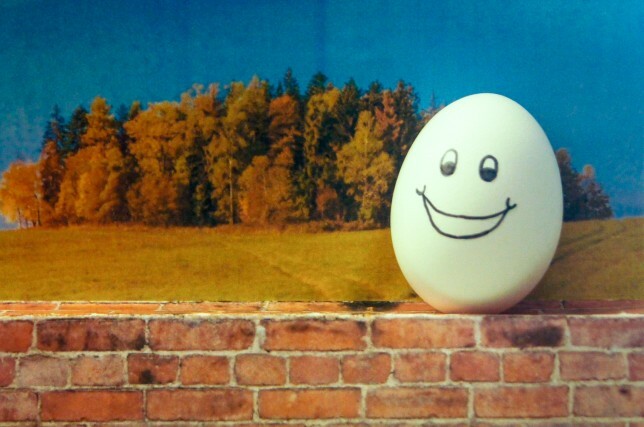 Then Humpty Dumpty got back up, climbed the wall again, and stood high on top. This time he was held in the King’s hand, so he was safe. He sang on top of the wall to everyone who passed by about how the King was so loving and gracious. He sang of how the King came down and saved him when no one else could put the broken pieces together again. The joy and glory that the King put inside Humpty as He put him back together again shined brightly through the tiny cracks of where the broken pieces came together. That bright light shining through the cracks reached far out into the dark places to tell of the hope and healing that the King brings to broken things. The Lord makes firm the steps of the one who delights in him though he may stumble, he will not fall, for the Lord upholds him with his hand. I will extol the Lord at all times; his praise will always be on my lips. I will glory in the Lord; let the afflicted hear and rejoice. Glorify the Lord with me; let us exalt his name together. I sought the Lord, and he answered me; he delivered me from all my fears. Those who look to him are radiant; their faces are never covered with shame. This poor man called, and the Lord heard him; he saved him out of all his troubles. My mouth will tell of your righteous deeds, of your saving acts all day long— though I know not how to relate them all. I will come and proclaim your mighty acts, Sovereign Lord; I will proclaim your righteous deeds, yours alone. Since my youth, God, you have taught me, and to this day I declare your marvelous deeds. Even when I am old and gray, do not forsake me, my God, till I declare your power to the next generation, your mighty acts to all who are to come. Your righteousness, God, reaches to the heavens, you who have done great things. Who is like you, God? Though you have made me see troubles, many and bitter, you will restore my life again; from the depths of the earth you will again bring me up. You will increase my honor and comfort me once more. Come and hear, all you who fear God; let me tell you what he has done for me. I cried out to him with my mouth; his praise was on my tongue. If I had cherished sin in my heart, the Lord would not have listened; but God has surely listened and has heard my prayer. Praise be to God, who has not rejected my prayer or withheld his love from me! Amanda! You’re making me cry!!! !